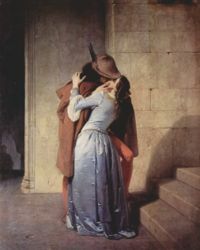 A kiss is the touching of the lips and kissing is most commonly an expression of affection especially in western culture. Depending on the position, it has some hidden meaning. This entry was posted on Thursday, January 4th, 2007 at 9:23 pm	and is filed under Funny Junk. You can leave a response, or trackback from your own site.